Cap has bling! 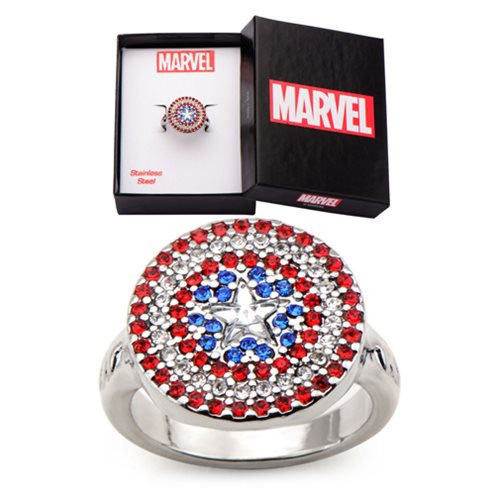 Show your support for Cap by wearing the Captain America Shield Stainless Steel Bling Women's Ring. This beauty is made of stainless steel and features red, blue, and clear gems on Cap's shield. The ring comes in a Marvel jewelry box. Shield measures 3/4-inches in diameter. Ages 13 and up.